There’s surely a lot of intimidating keywords flying around when deciding up which are the right bed sheets for you. Between Egyptian cotton or Pima cotton, whether it’s Percale or sateen, one is tempted to just go with their gut and hope for the best. Here’s a breakdown of what are the most important things to keep in mind. Fiber is what the sheet is actually made of. The main types are usually American Upland, Egyptian Cotton, or Pima. These are all cotton types since that’s what sheets are generally made of. The quality of cotton is usually defined by the length of the fiber itself. Egyptian cotton has the longest fiber length as a result of the climate around river Nile. It makes for a very soft and flexible material. The other types of fiber are shorter, but still retain their softness. One could shoot for a fancier fiber such as linen or silk. While they’re more expensive, they are still a great investment that withstand time. This is where the tags such as percale and sateen come into play. The way fiber is woven defines the texture and attributes of the sheet. 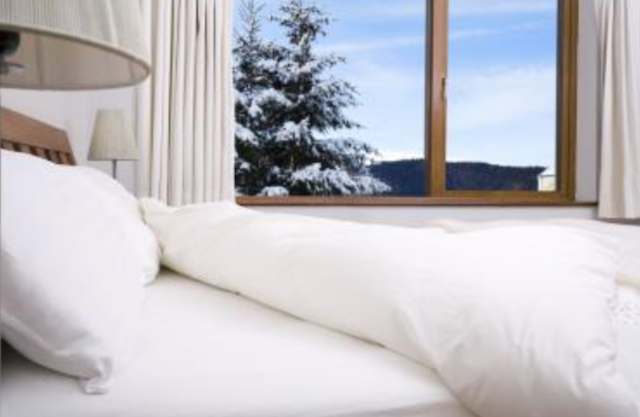 Some fiber is tightly woven, such as the Percale. That makes for fine finish and feel. Other fiber is woven in a way that makes the sheets feel very smooth and strong fabric. This is commonly referred to as sateen. All of the different ways of weaving the fabric lead to different results, and you should pick the one which feels right for you. We often hear about thread count when people are boasting about it. And that’s for a reason. A higher thread count is noticeably softer. Think of it this way, would you like to lie down on pebbles or sand? When it comes to numbers, 200 is good. 300 is better. Go with your budget on this one. Buying expensive and quality sheets alone doesn’t mean the end of the story. No matter how good sheets are, they can’t clean and care for themselves. While our civilization has come to great lengths and hygiene is at an all-time high, our bodies still produce a lot of microscopic biological byproducts. From shedding skin, to sweat and body oils, a lot of waste can accumulate in the sheets over time. This can become an attractive option for creatures we can’t quite see with our human vision, which is just one of the reasons why it’s very important to wash our sheets frequently. If you find stains on your sheets, you should pre-treat them with a suitable detergent before washing them. Bleach is also a no-no. Also, a good idea is to keep multiple pair of sheets so you always have fresh ones to apply. When it comes to washing, make sure to be delicate and apply just the right detergents. Because the material of our bed sheets is so intricate, it is also quite delicate. Applying the wrong detergent or wrong temperature can not only shorten the lifespan of the sheet, but also potentially make them unusable. Consult the labels and clean accordingly. In this way you ensure the longevity of your sheets. Always store in a dry place, preferably not in a plastic container since they retain more moisture and lead to biological organisms taking advantage of the humidity. Another thing to keep in mind when storing sheets is that you ought to store them by their type. When you match types of cotton you enhance the endurance of the material. Good sheets can serve you for many years, but they’re not indestructible. When you see that it’s time for an upgrade or a change then you should take appropriate action. While this might seem like a lot of information, keep in mind that this is an investment that you have to do only once in a while, especially if you follow the tips and maintain them well. Picking the right sheets is very important, and here spending a bit more actually saves you a lot in the long run. It saves not only money, but also a lot of time that is usually required for this kind of shopping. Find your desired bed sheets based on what you need and what you can afford keeping in mind the different kinds of fabric how they’re woven and their thread count. Make sure to buy at least a matching couple so you always have something to rotate when cleaning is due. Don’t forget to care for your sheets by washing them regularly, and storing them in the right way. Finally, nothing lasts forever. If you think your sheets need replacing, then head over to the store and treat yourself to a comfortable pair of sheets that will make your bed comfortable and cozy.